Happy Friday crafty friends. Today Crafty Sprouts has got another super fun challenge for you all. It is called "Case Our DT". All you need to do is visit the DT members, take some inspiration from what you see, copy the style, layout, colors, image etc., post your project on your blog along with a link to the project you cased and then link it up over at Crafty Sprouts. I had so much fun with this challenge and I'm sure you will too. This box is from SVG Attic's "Be Mine" set. The hearts were made with Shrinky Dinks and the Imagine More Cards cartridge. The sentiment is from Carfty Sprouts "Text Talk" stamp set. This is just to show the difference in size before the Shrinky Dinks have been shrunk. I cased my uber talented DT sister Carley. 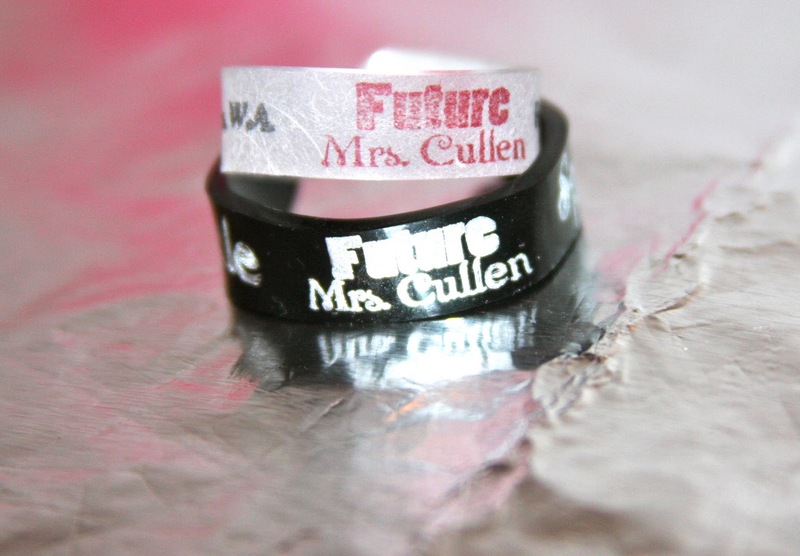 She made these awesome rings out of Shrinky Dinks. Super cute. Love the idea. love your little box and hearts!!! Great job, great idea for a treat box!